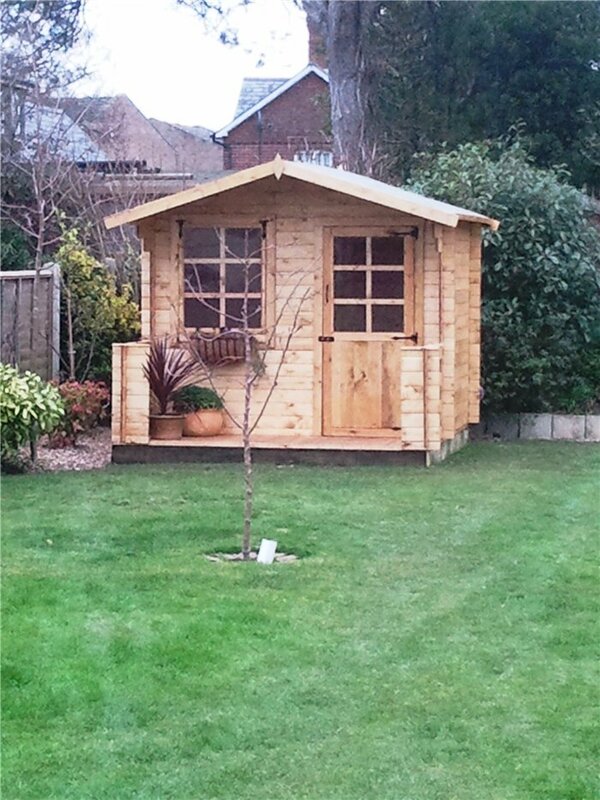 This wonderfully crafted log cabin further demonstrates Garden Buildings Direct's growing standing as a leading manufacturer of log cabins. 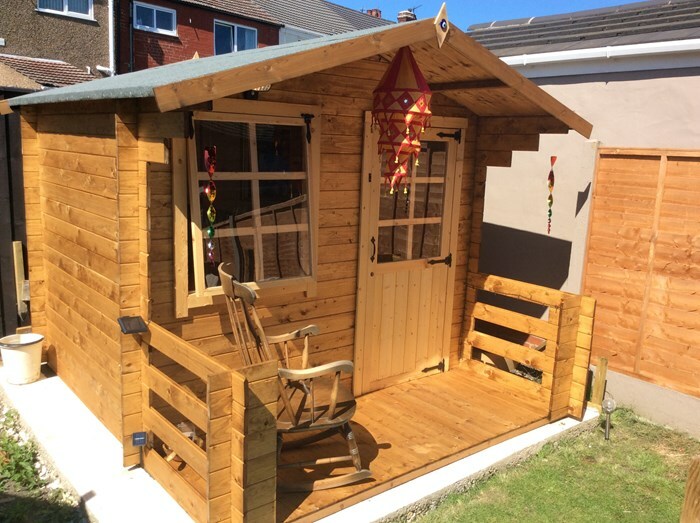 The BillyOh Pathfinder Nook Log Cabin is a compact yet stylish building for those whom would like to indulge in a bit of luxury within the confines of their garden and have limited space. Not detracting away from the building itself, this log cabin provides ample interior space and the well crafted features such as the window which filter light into the interior adding a heightened sense of space. The overhanging roof gives you the option of sitting outside yet in the shade. Underpinning this unique log cabin concept is second to none craftmanship highlighted by the use of interlocking construction maximising the structural integrity of this 19mm cladded garden building. 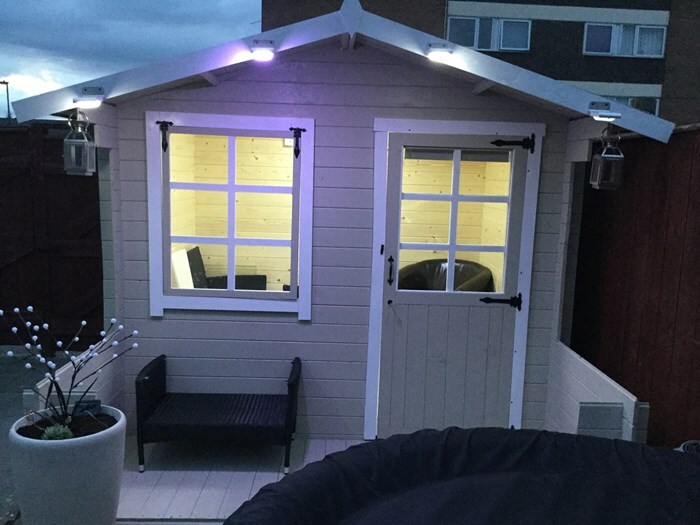 The BillyOh Nook has a variety of uses to ensure that your space that it takes in the garden is fully maximised. The addition of colour to the building enhances the aesthetic feel. The main floor, veranda floor and both roof panels of this building are all made from Tongue and Groove boards. This style of cladding locks together for simple assembly and additional strength. 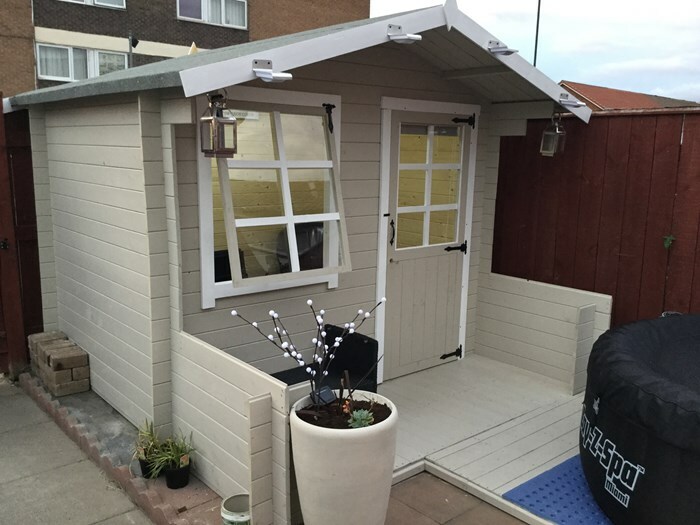 This cabin utilises a fully crafted half styrene glazed single door, hung using traditionally styled hinges. 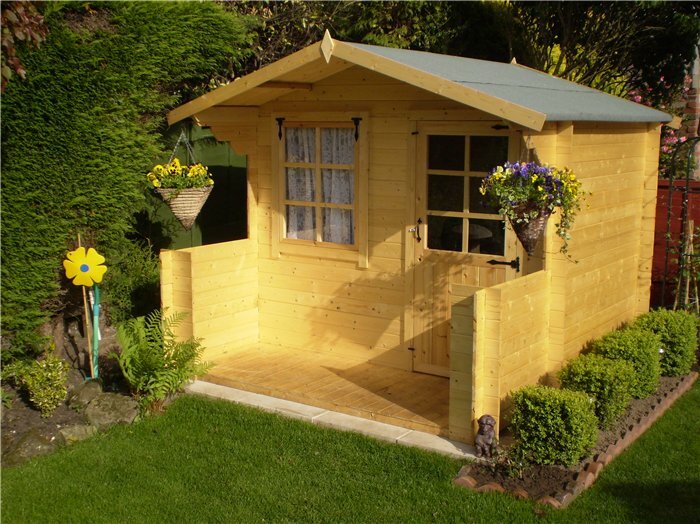 The half wooden panel and locking system ensure that this building can be securely locked. The top opening window, helps provide the internals with plenty of natural light. Georgian bars mixed with traditionally styled hinges ensure a classic traditional design aesthetic is maintained. The integrated verandah provides the ideal entrance to the building, providing ample space for the addition of potted plants and foliage to enhance and add colour. 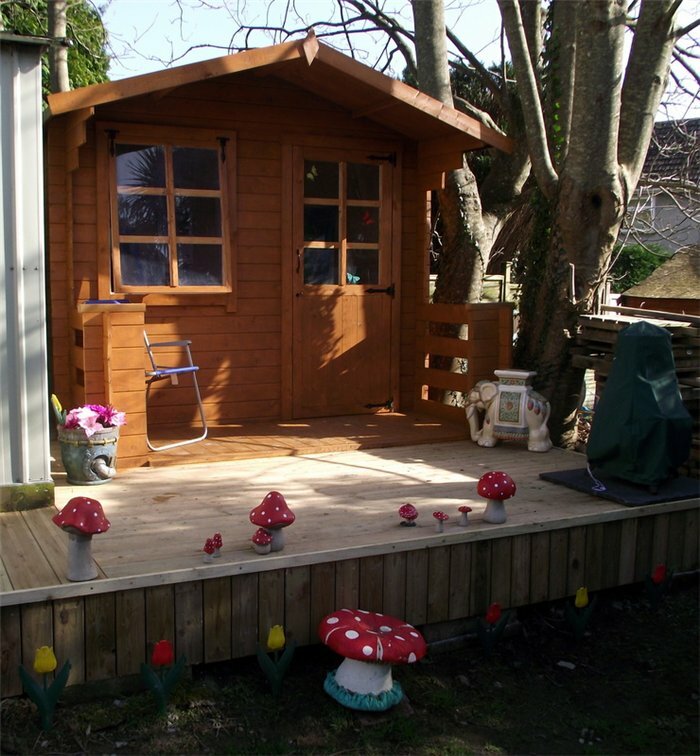 Each of our BillyOh log cabins are supplied with an interlocking tongue and groove floor which is supported with strong floor bearers giving a greater load capacity and reducing any floor bounce. 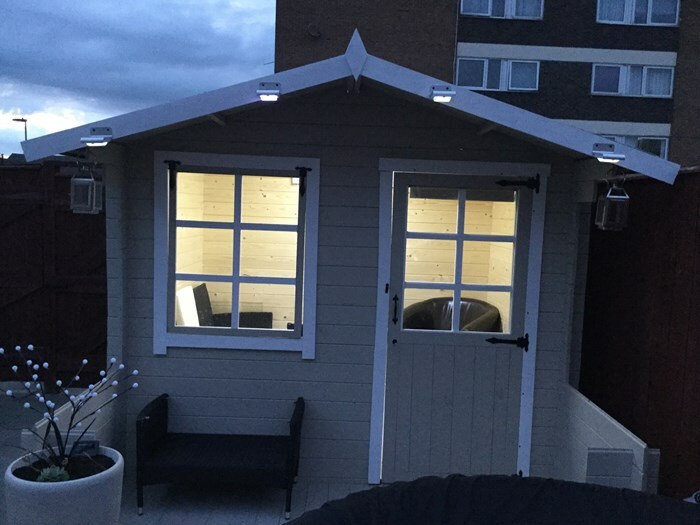 Ridge Height (Inc Floor) 227cm 7'5"
Door Opening Size (w x h) 74.5cm x 171.5cm 2'5" x 5'8"
Window Dimensions 73.5cm x 96.1cm 2'5" x 3'2"
Front Roof Overhang 58.1cm 1'11"